Many thanks to everyone who helped us create the 2011 Digital Sisterhood Month playlist. See below. Tell us what you think about the songs. PS: We will be creating a 2012 playlist throughout the new year. Look for our request for suggestions on #Digitalsisterhood Wednesdays beginning in January. Also, feel free to post your suggestions on our Facebook page. Digital Sisterhood Month (#DSMonth) has been a blast to celebrate this year. How did it happen? Through Digital Sisterhood Network (DSN) Collaboration which came from a global community of digital sisters who posted the #DSMonth badges on their social media sites and shared news about #DSMonth events on their blogs and web sites. It came from digital sisters who connected with each other on Cinchcast, Facebook, Flickr, Hootsuite, Talkshoe.com, Tumblr, Tweetgrid, Tweetchat, Tweetdeck, Twitter, and WordPress. It came from digital sisters who participated in #DSMonth’s Guest Blogger Series and Digital Sisterhood Radio interviews. It came from #DSMonth Fierce Living in Fashion Tweetup event partners Xina Eiland, Monica Barnett, and Julie Egermayer of Violet Boutique. It came from Zanita “Zane” Collins, DSN’s Project Manager, and Kamaria T. Richmond, DSN’s 2011 Blogger-in-Residence. And it came from #DSMonth’s generous sponsors: Everywhere, Shootie Girl, and Susan G. Komen for the Cure. All month I have been thinking of songs that capture #DSMonth and my favorite 2011 Digital Sisterhood moments. 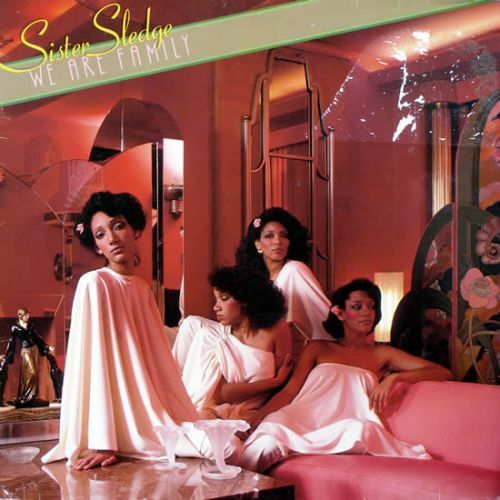 The first one that came to mind is the 1979 classic “We Are Family” by Sister Sledge. What songs remind you of your favorite 2011 Digital Sisterhood moments? Go to Digital Sisterhood on Facebook, Twitter, or leave a comment below with your favorite Digital Sisterhood songs and YouTube video links on December 27, 28, and 29. 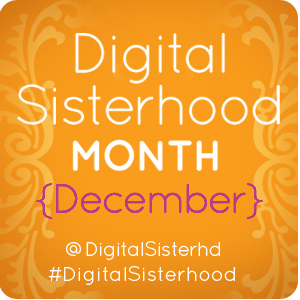 Your suggestions will help us build the Digital Sisterhood Month Playlist (will post it on December 31).